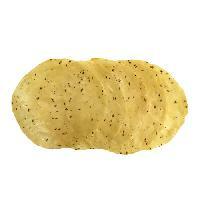 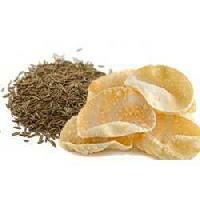 Diameter : 3", 3.5", 3.75", 4", 4.5", 5"
The Cumin Papads, provided by us, are known for their strong flavor and taste. 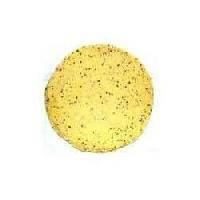 We make use of suitable packaging material to deliver the product safely and in the stipulated time span. 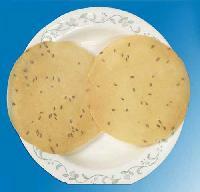 Located in Surat(India), our organization is able to serve our regional as well as domestic marketplaces. 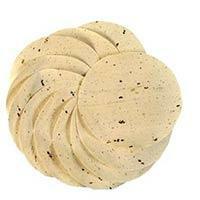 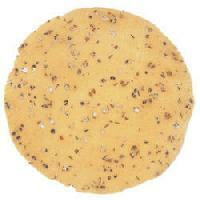 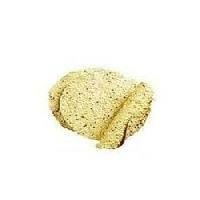 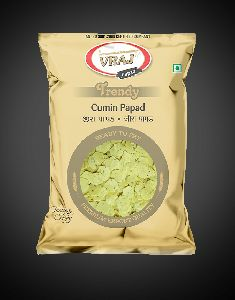 Avail from us delectable Cumin Papad with a strong flavor of cumin. 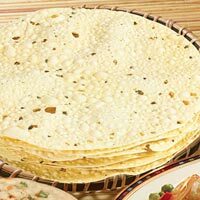 The cumin added to the Cumin Papad not only provides the papad with a great taste but also other health benefits. 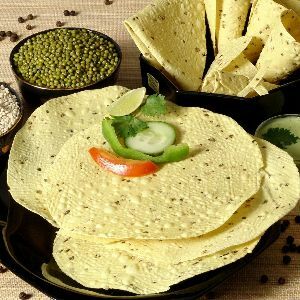 Our Cumin Papad is a perfect evening snack that you can enjoy with your family. 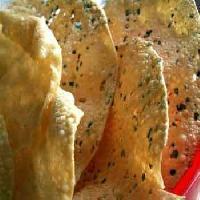 Having the strong taste of cumin, our Cumin Papad is also known for its crispiness. 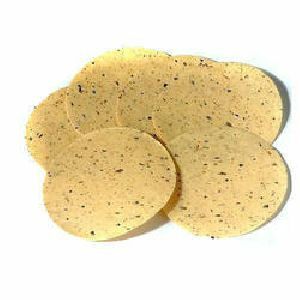 Available In Sizes : 2" 5" 7.5"
Cumin Papad offers great taste and health benefits too. 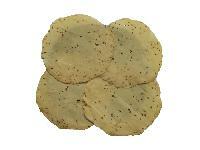 Ingredients such as Udad flour, spices, and cumin ensure taste. 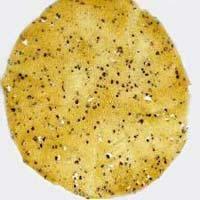 On the other hand, low oil absorption and less fat & carbohydrates content, make Cumin Papad healthy. 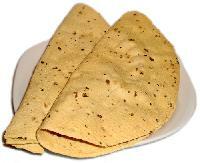 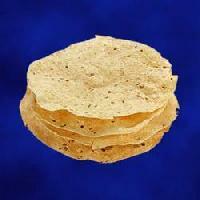 Cumin Papad is packed in quality material in order to ensure longer shelf life. 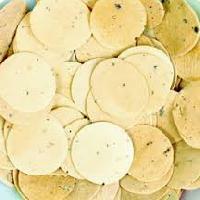 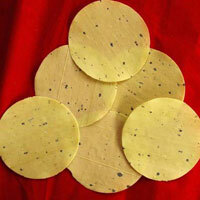 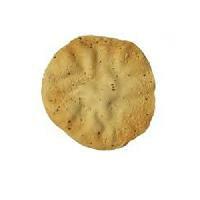 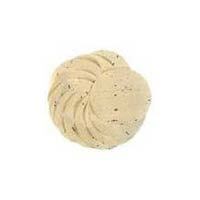 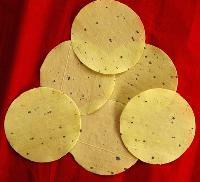 We offer Cumin Papad at economical price.